It’s been a relaxing holiday recess. No running around for the normal activities. Just hanging out, playing, enjoying each other’s company and watching movies. Among the movies we watched was one of my favorites that we hadn’t watched in a while. Four years to be precise. 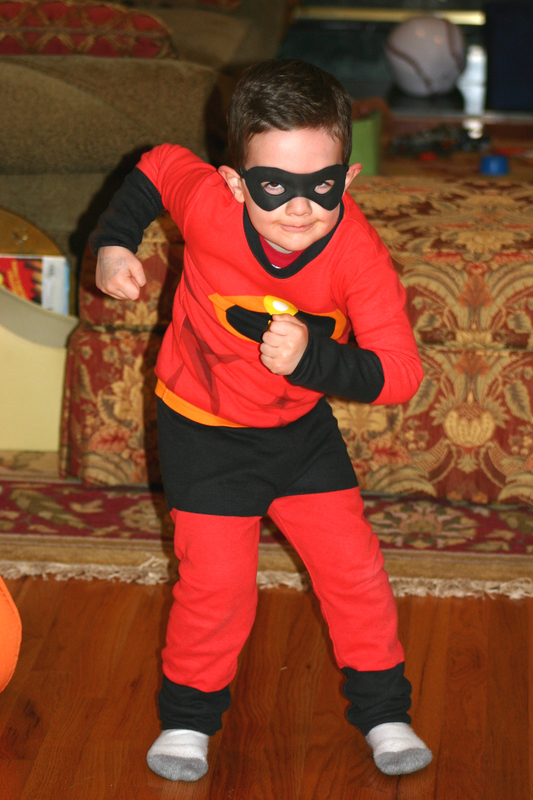 Four years ago Caleb was three and was a huge fan of The Incredibles. More specifically, a huge fan of Dash. 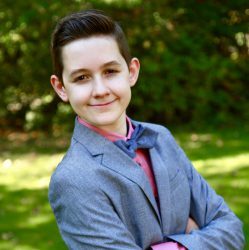 As we watched the movie, I realized Caleb was going through his Dash phase at the time he was diagnosed with type 1 diabetes. It all starting coming back to me. I remembered being told by the pediatrician that we needed to go home and do nothing other than pack a bag and get to Yale New Haven Hospital as quickly as we could. I went home, packed the essentials and ran downstairs to my “stash”. It was after Christmas, but before Caleb’s birthday and I had some things collected for him. I pulled out a few. I remembered presenting him with the storybook featuring The Incredibles in the ER in an attempt to distract him while what seemed like ten people tried to hold him down to place an IV in his arm. 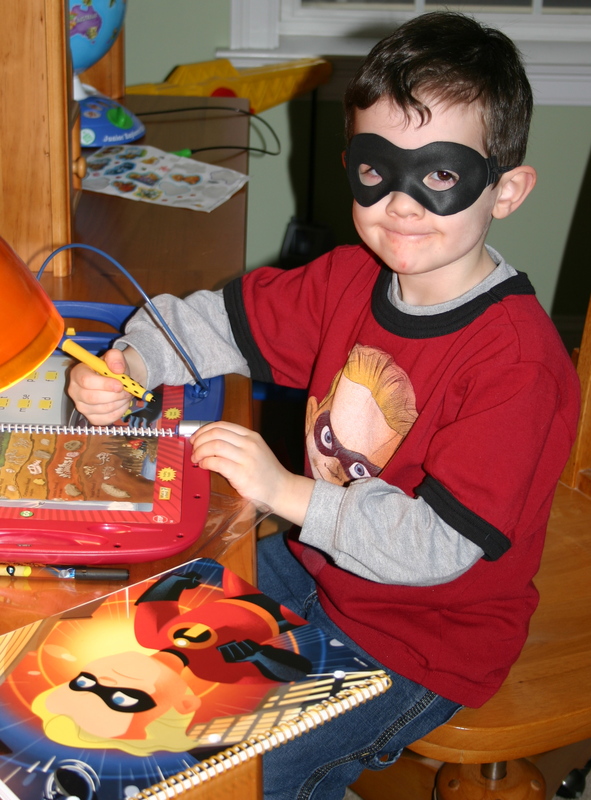 I remembered being in his hospital room with him the following day, just the two of us, and giving him The Incredibles LeapPad game in an attempt to cheer him up. It didn’t work all that well. I remembered not caring how many gifts Caleb got that year when normally I try to be careful not to overdo it and spoil the kids. That year he couldn’t be spoiled enough. I remembered him wearing the jersey that Grandma and Grandpa had given him for Christmas. He wore it during his hospital stay and also at his birthday party. Breaking into the toy closet at the hospital. 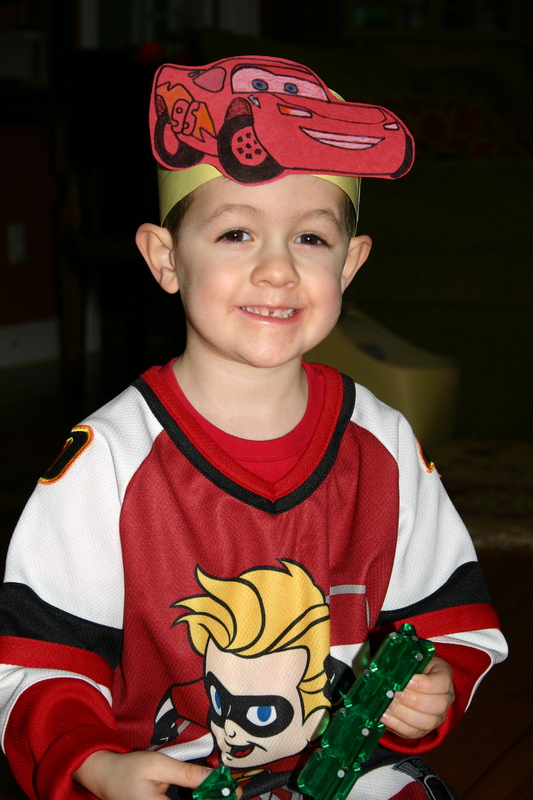 Wearing his favorite jersey at his 4th birthday party. 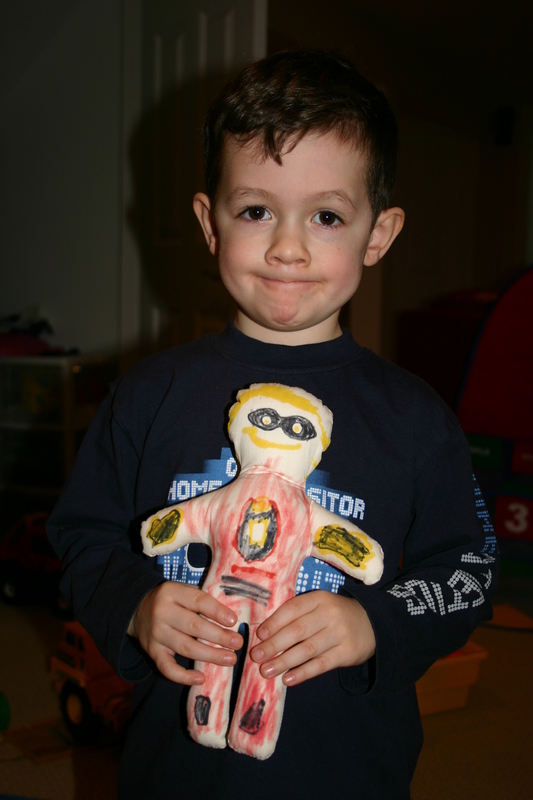 Then I remembered the doll Caleb made. He was given a plain, muslin doll in the hospital to practice giving injections. 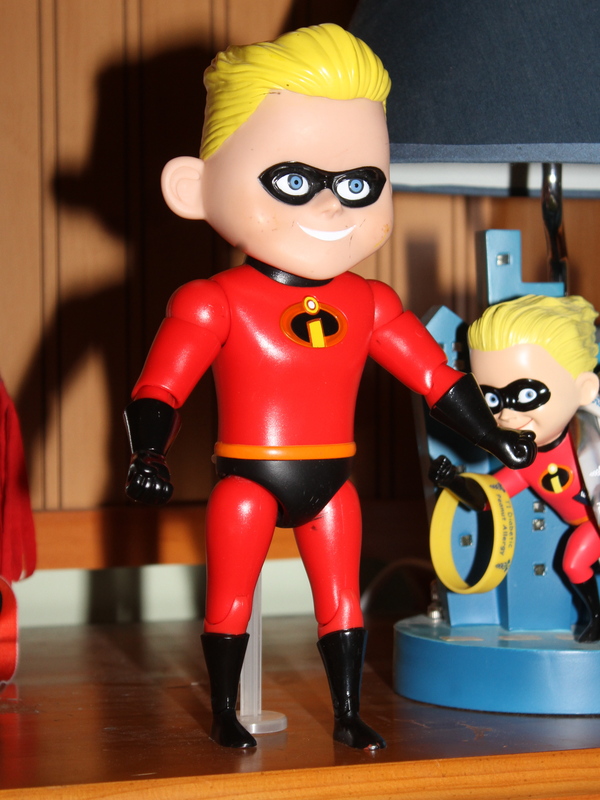 He made his doll “Dash”. I remembered how we used to tell him that Dash was so fast at checking his sugar and giving himself injections that you couldn’t even see him do it. I also remembered Caleb completely not believing us, but playing along nevertheless. 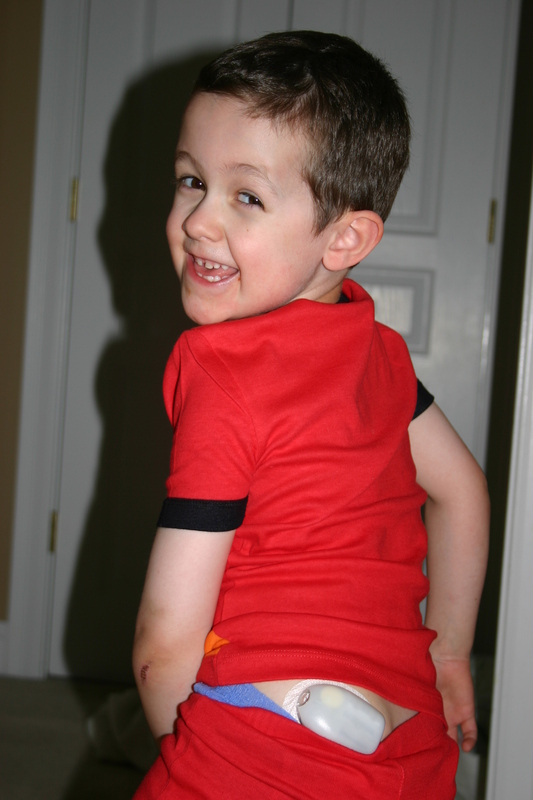 I remembered the picture we took of Caleb days after diagnosis, smiling, getting a shot in his arm, to show his grandparents who had just left for their winter in Florida that he was okay. He was wearing an Incredibles hat. "I'm okay Grandma and Grandpa." 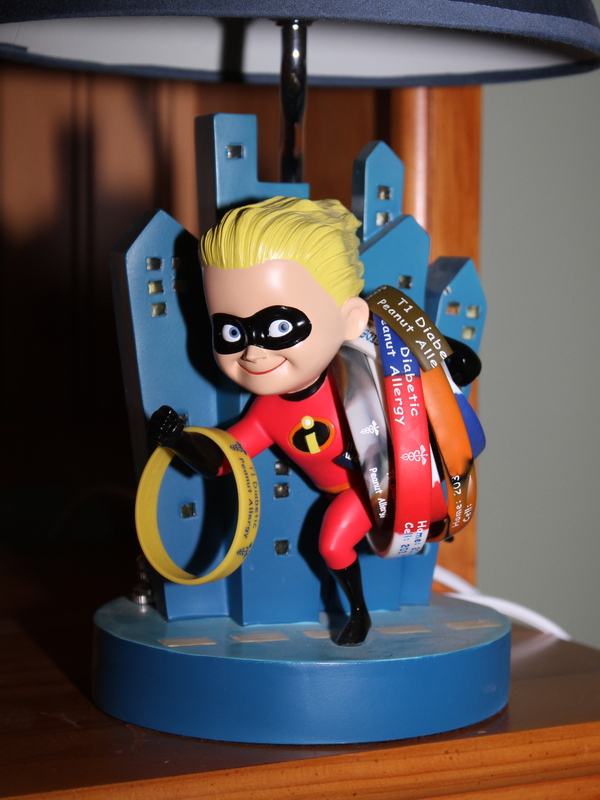 It only occurred to me as we were watching The Incredibles the other day, that this movie will forever be associated with Caleb’s diagnosis. There’s no separating the two. Today is Caleb’s four year diaversary. During the last couple of weeks he passed the mark in his life where he has now lived with diabetes longer than without it. We’re not ignoring this day, but we’re not exactly celebrating it either. We talked about it this morning. I asked Caleb if he knew what today is and he replied, “Yeah, it’s the day we go back to school.” I asked if he knew what else it is. He said, “Oh yeah. It’s the day we went to the hospital – cool.” I wrote him a special note for his lunch box. He’s bringing his muslin Dash into school to share with his classmates. He gets to pick what we’re eating for dinner. He got some extra hugs and kisses this morning. But for the most part it’s just any other day. Even though we think Caleb kindof is. Well why on earth are we giving him shots? The thought of pumping at first to me was a little horrifying. I didn’t understand how it worked and my imagination formed images that I didn’t like. I envisioned a permanent “something” surgically implanted in him. It seemed very sad. Very medical. Very dependent. No one showed us what it entailed. We just heard how great it was. I’m not sure when exactly I got over those self-formed images (which of course were all wrong), but I knew Caleb would start pumping ASAP. All I needed to hear was that it was the best way to get control, would result in the best BGs and therefore give him the brightest outlook. The rest didn’t matter. My early reading included the results of the DCCT study. Enough said. Sign us up. When do we start? Even so, I still had reservations. In those early days I watched Caleb running around, being a three-year-old and tried to envision this device strapped to him. It seemed like the increased freedom came at the price of the loss of other freedoms. We were just picking the lesser of two evils. Sigh. Bless our dear friends, Dan and Meri. Dan’s company was investing in this new product by Insulet Corporation – had we heard of the OmniPod? Why no. Could this be? Is there actually an insulin pump that you don’t have to be strapped to? This must be a mistake – something new and not yet approved. Why has no one else mentioned this to us???? I cannot express how fortunate we were at the timing of things. Dan’s query came at exactly the point when I was looking at the various pump options. Had he mentioned it a week later, we may have made another choice. I did my research and I was sold. We were decided. We were going to give the OmniPod a try. Now how do we get it? And WHEN?? I was told, “Oh the insurance won’t just pay for it. Needles are cheap. Pumps are not. You will have to wait at least six months and show that you can’t control his BG on injections.” That was not appealing. I wanted to do whatever I could to keep his BGs in control. I almost felt like we were better off not keeping his BGs in range. And that doesn’t even touch upon the fact that many insurance companies were not yet hip to the OmniPod in early 2007. Our insurance listed it as a CGMS and thus would not cover it. I was prepared for a battle. I had my ducks all lined up. I was elated. It was the best news I had heard in months. To pump or not to pump. It is a very personal decision and requires careful thought. It is not for everyone. But for Caleb we chose to pump. We are very glad that we did. 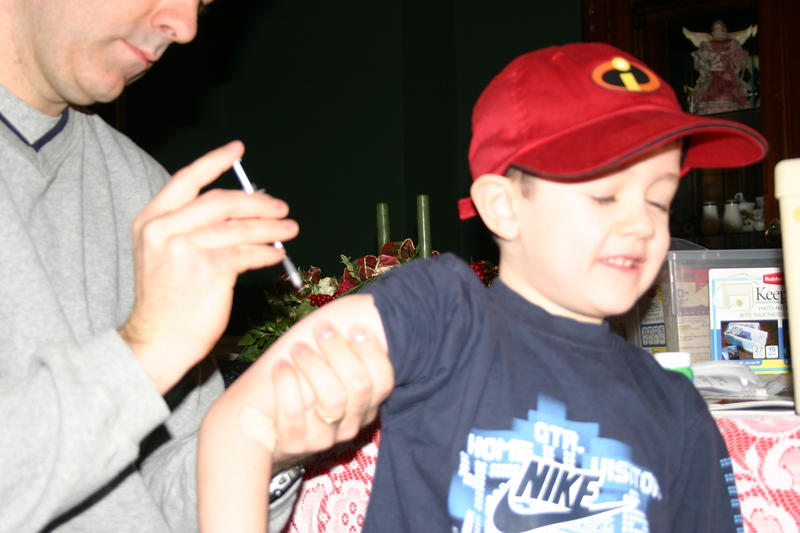 Injecting Caleb with insulin within days of diagnosis. I think I have always been considered by others as “strong”, “tough”, “independent”. When Caleb was diagnosed, I felt I had to be those things. Because that’s who I was after all. Why should this be any different? What I remember of the days following Caleb’s diagnosis is Caleb being very strong. His grandparents had just left for their annual stint to Florida and they wanted to come home to see him. We took pictures of Caleb smiling and being “tough” so that they could see that he was okay and they didn’t need to rush home. There were moments of anxiety. The occasional resistance to an injection. The refusal to eat. Caleb was three. I can only assume how he must have felt. That he now had all these rules. There was no compromising on so many new things. He was being forced into this box. Who can blame someone, particularly at that age, to put up a fight every once in a while? He did. But overall he was, and always has been, a champ with few complaints about diabetes. I remember welling up at the sight of any picture of Caleb in my home. All those pictures were of a boy and a life that was gone. Those were picture of the “before”. We would never know life as it was in those pictures again. We were now in the “after”. And the after was dismal. And the books. I went to the library and took out any book they had with a reference to diabetes. Those books were dreadful. There are two things that stand out from all those books: (1) the complications – the amputations, heart failure, blindness, kidney failure, etc. and (2) the story of the little girl at a birthday party who had to eat an apple while all the other kids chowed down on cake and ice cream. That’s what I remember of my early reading. I had never cried so much in my life as I did in those weeks of “after”. I could not even remember the last time I had cried before this all started. Because I was “tough”, remember? I remember all the things people said to try to make me feel better. How it could be worse. How there is so much hope for a cure. I remember knowing not a single person who directly knew about caring for someone with type 1 diabetes. I had absolutely no one to whom I could relate. I can safely say, to date, those were the worst days of my life. This brings me to why I started this blog. I want people to know that there are people who understand out there. I want people to find places like Children with Diabetes, and TuDiabetes a lot quicker than I did. I want people to find the right books like Think Like a Pancreas and Type 1 Diabetes, before they start reading those horrid other texts. Help is here. It will be tough at times, but it will be ok.
Caleb just days before diagnosis. 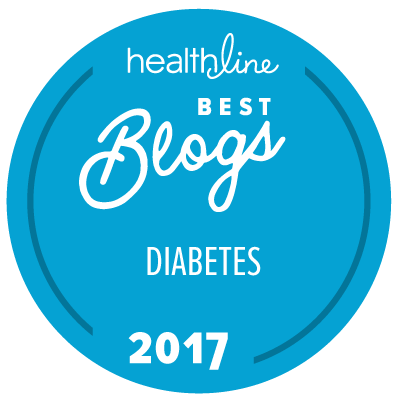 So if you have read my other posts you know that we waited even when we strongly suspected that Caleb had type 1 diabetes. On New Year’s Eve, we did not rush to the ER or even call the doctor. We waited 2 days to call the doctor and didn’t even see a doctor until the day after we called. I did not know the symptoms and for weeks did nothing about his thirst and frequent bathroom use. I knew nothing about the risks. 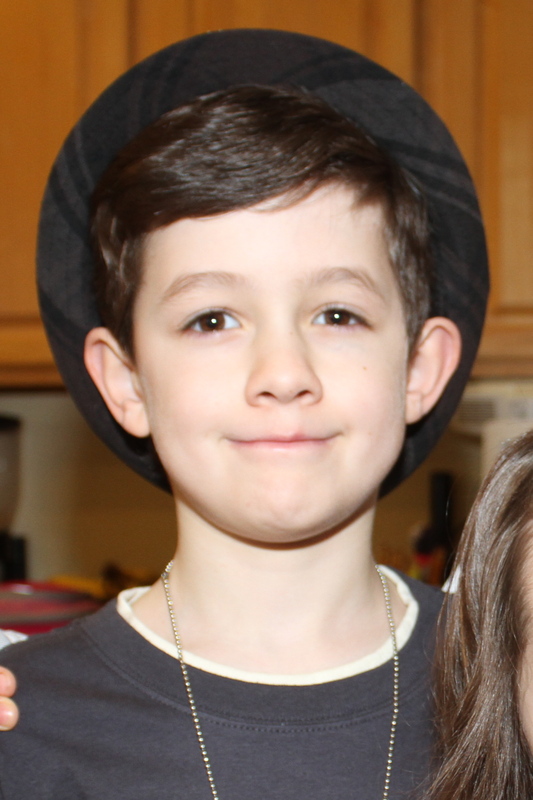 When Caleb was diagnosed his A1C was 9.8. He was not in ketoacidosis. He must have been somewhat dehydrated, but not severely. He was not sick. But for the fact that there is no out-patient training for type 1 diabetes where we are, I believe he would not have been admitted. If you see the telltale signs of diabetes – thirst, frequent urination, weight loss, lethargy – do not wait. Holiday or otherwise – do not wait. Seek medical attention. 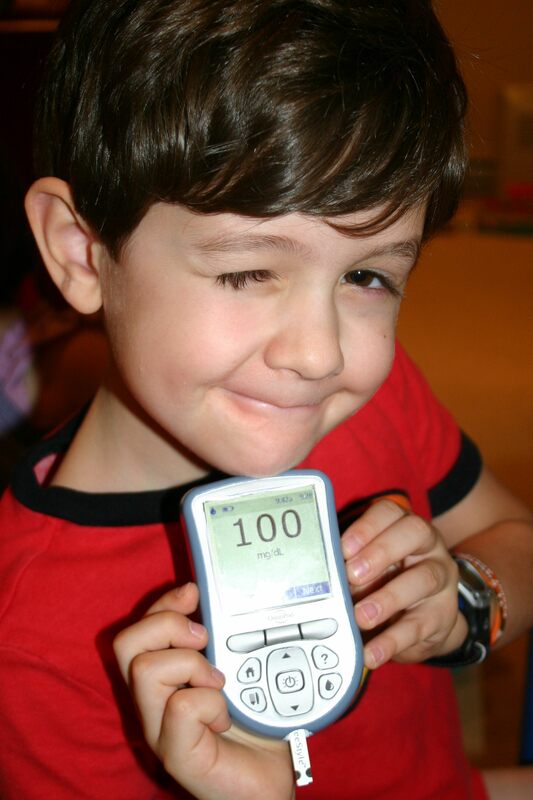 At a minimum, buy an inexpensive glucose meter and check your blood sugar. If out of the normal range, seek medical attention IMMEDIATELY. Left untreated, even for just days, things can get out of control quickly. Here is a story that shows how quickly things can get very serious. Caleb a week before diagnosis. Notably thin, although we didn't realize why at the time. 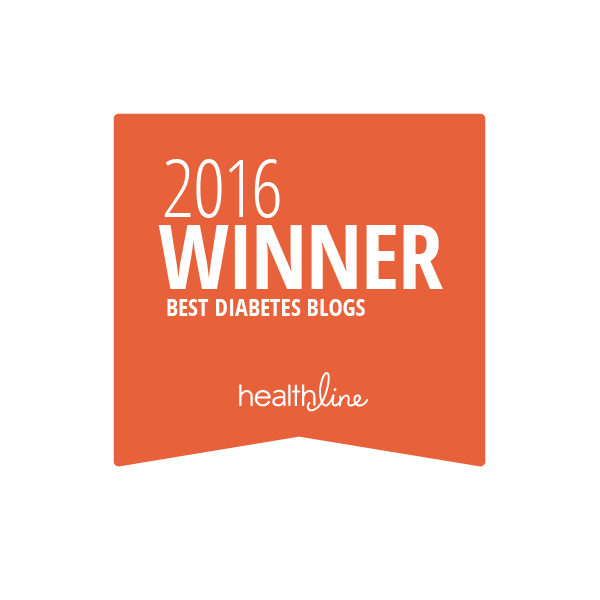 With almost no knowledge about type 1 diabetes, we waited. It was a holiday after all – the doctor’s office wasn’t even open. We had just had such an amazing week. We celebrated Christmas and we were all home from work and school and everyone was getting along swimmingly. How could this be happening? Not us. We started timing how often he went to the bathroom. At times it was in 20 minute intervals. I had been telling myself this was growth – he was always asking for “icy cold milk, please” and of course he had to go to the bathroom a lot with all that milk, right? Okay, well he’ll get back into his routine when he goes back to school. It will be fine. We’re just out of sync. So I pull into the school parking lot on January 2nd and as he climbs out of the van he says, “Mom, I want some icy, ice cold milk.” Oh, no. Please. You don’t. No way. Then I talk to his teacher. I ask her to look out to see if he’s going to the bathroom more often than normal and she says, “oh”. I say, “what?” Just hoping, my very last hope, that she knows something I don’t. That she will tell me about her friend or relative who went through this and the child grew out of it. That it’s a sign of this cold or that virus that is going around. But of course, she doesn’t say any of those things. She says that word again. She says, “diabetes”. I tried to control myself, but the tears overflowed. Nevertheless, not having a clue of the potential severity of the situation, I left Caleb at school and went to the DMV to renew my license. I have that license in my wallet and only I can see in the picture the puffiness around my eyes. 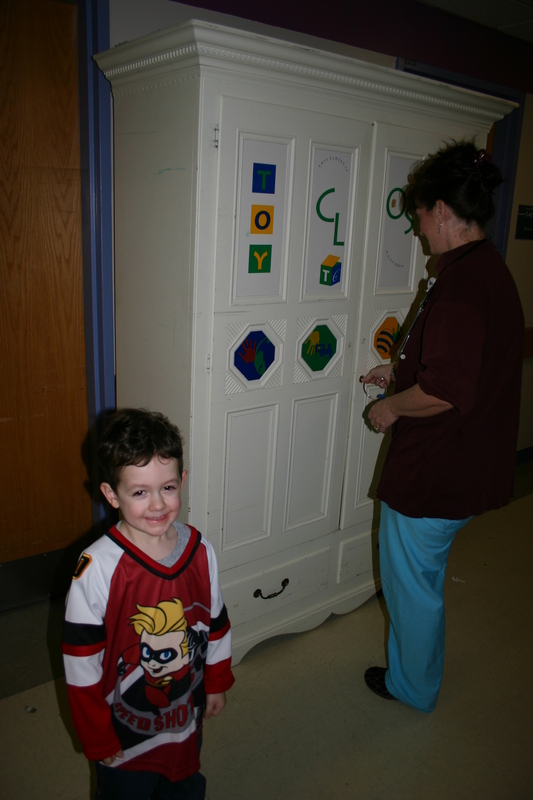 It’s a constant reminder of when I was given Caleb’s diagnosis – by his preschool teacher. 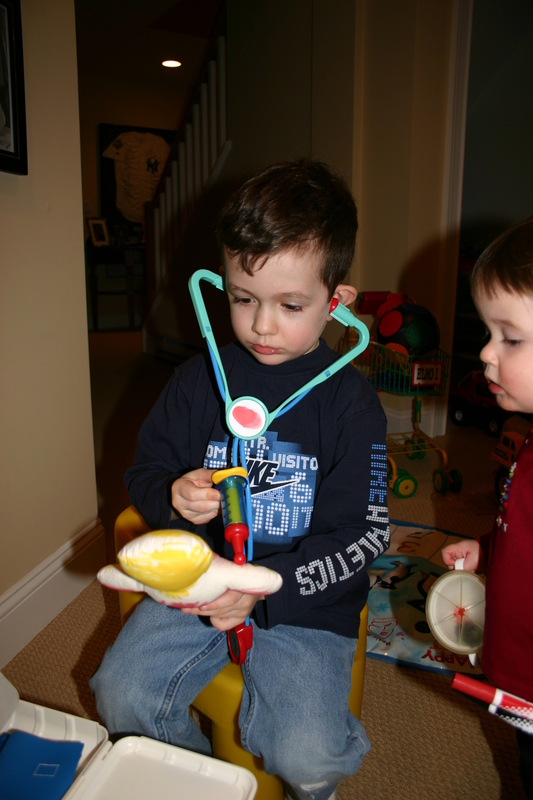 We called the pediatrician early that afternoon when Caleb got home from school and told them our concerns and our desire to see a doctor. We told them that we believed he had type 1 diabetes. Knowing what I know now, I find it amazing that he was not seen immediately or sent to the ER, but given an appointment first thing the next morning. January 3rd is the official day of Caleb’s diagnosis. But that was all a formality. I knew the day before. Caleb the day after being diagnosed with type 1 diabetes. He had been thirsty and frequently going to the bathroom for weeks. A quick internet search by my husband on New Year’s Eve, just hours before guests were to arrive, and we had the first hint of what was about to change our lives. We now know these are telltale signs. We did not know it then. He was thinner, but we just thought that was part of his growth – he was no longer a baby after all. On January 3rd, it was confirmed. We visited his pediatrician suspecting type 1 diabetes. After a urine and blood test, we were directed to the ER of Yale-New Haven’s Children’s Hospital. Do not pass go, do not collect $200. We were told little: that his blood sugar was in the high 200s, and that someone without diabetes could eat an entire chocolate cake and still not go much above 140. But the bloodwork was being done to see for sure. Before we ever got those results, Caleb was admitted. He was in a room with a 6 year old girl going through the exact same thing, just a day ahead of Caleb. Caleb endured the IV. He endured the lancet and the injections. He was still three years old. The mom of the girl next to us tried to console me within minutes of getting to the room. She showed me the needle. It was thin. It was flexible. She told me it could be so much worse. She had a friend whose daughter was dying of cancer. I know she was trying to help. But this did not help. I didn’t care that the needle was small and thin. It was still a needle. I didn’t care about that little girl or anyone else at that moment in time. All that mattered to me was that my little Caleb’s life was now changed. He didn’t deserve this. I told my husband all I wanted was for him to grow. To grow normally. 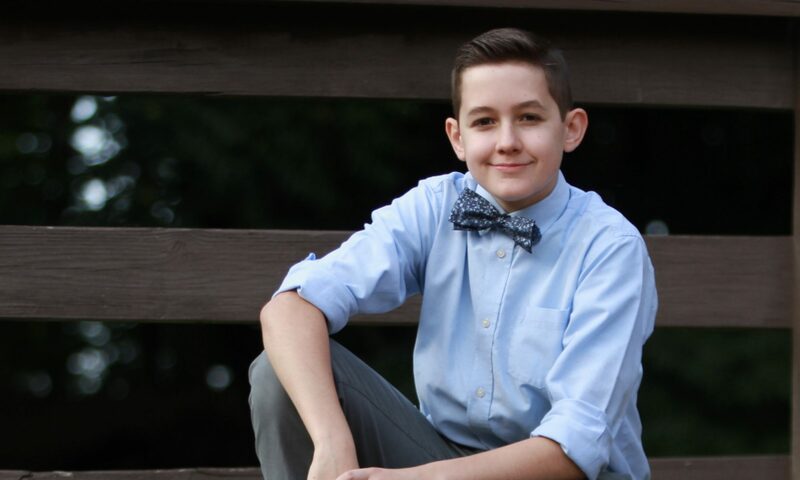 To be the tall, muscular young man I knew he would one day become before this diagnosis. I wanted him to be smart. That’s all I wanted then – for his body and brain to beat this disease. I spent the night with Caleb in his bed that night. Brought him to the bathroom with his IV pole. Protected him from insensitive nurses. I slept little. The following day we met with nurses, social workers, nutritionists, oh and the doctor who finally came to tell us that Caleb had type 1 diabetes.